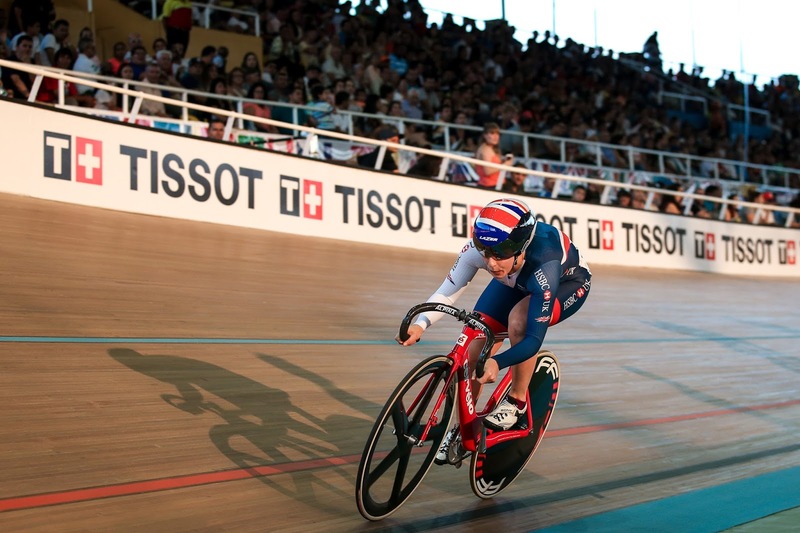 Neah Evans finished fourth in the points race on her Tissot UCI Track Cycling World Cup debut for the Great Britain Cycling Team in Colombia. The Scottish Cycling Performance Programme rider dominated the opening stages of the race before being pushed out of the medal places in the final sprint. 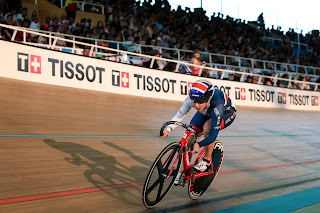 Evans headed into the points race full of confidence following her 11th place finish in the scratch race on Saturday. The 26-year-old got off to the perfect start, winning the first sprint before taking two points on the second to establish herself as the early leader. Indeed, her form showed no sign of stopping as the race continued, with Evans pipping Belarus’ Tatsiana Sharakova on the line to take three sprint points on the third sprint. Despite choosing not to contest the fourth sprint, Evans found herself two points clear on 10 points at the halfway mark before suffering a mechanical, which slowed down her progress. Evans re-entered the race, just as Australia’s Amy Cure gained a lap, earning herself 20 points to take the lead. 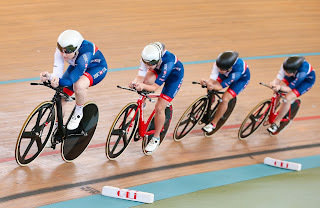 With just 20 laps left, Evans attempted to join a four rider breakaway to gain a lap but the group were unable to bridge the gap - the Great Britain Cycling Team rider forced to settle for a solitary point, which meant she slipped to third with one sprint remaining as Italy’s Simone Frapporti leapfrogged her. In the final stages, the formidable Sarah Hammer attempted to take a lap, the only way Cure could be beaten to gold, but just came up short. Her efforts weren’t entirely in vain, as she won the final double points sprint to earn ten points and the silver medal, a result that cruelly pushed Evans out of the medal places with Frapporti taking bronze. It was a day of near misses for the young Great Britain Cycling Team in Cali following a fifth place finish for the women's team pursuit quartet. The British foursome improved upon their qualifying time by more than three seconds in Colombia - but missed out on a medal ride by less than half a second. The lineup of Manon Lloyd, Neah Evans, Emily Kay and Emily Nelson posted the fifth fastest time in round one, crossing the line in 4:28.548. The gold went to Australia, who beat Italy to gold in the final, with Canada picking up the bronze. 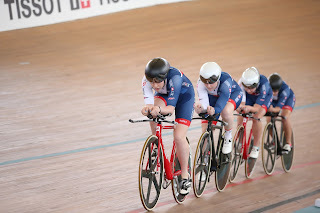 The Great Britain Cycling Team now head to the USA next weekend, with Elinor Barker, Ellie Dickinson and Chris Latham representing their country in Los Angeles.